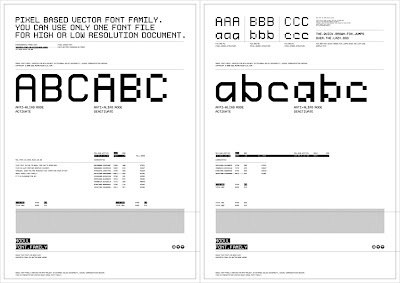 Pixel based vector font family.You can use only one font file for high or low resolution document. Modul is supporting Latin base encoding also it's supporting the languages of Central European. 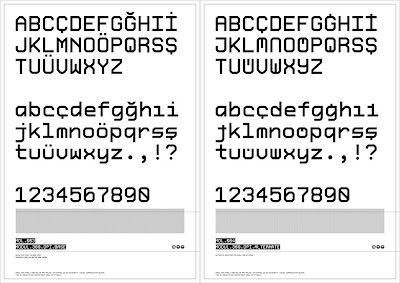 Please click Modul 300 dpi Full Character Set for more info. Looks nice, where to get/buy it? What is the website to the company owner of this font?